WASHINGTON, D.C. - Today, the House Committee on Natural Resources passed H.R. 2936, the “Resilient Federal Forests Act of 2017.” Rep. Bruce Westerman (R-AR) introduced the bipartisan bill to reduce the risk of catastrophic wildfire and dramatically improve the health of federal forests and rangelands. 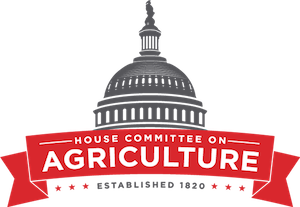 Today (Jun 27, 2017), the House Committee on Natural Resources passed H.R. 289, the “Guides and Outfitters Act” or “Go Act.” Introduced by Rep. Doug LaMalfa (R-CA), the bill aims to increase public access to recreation activities on federal lands by streamlining the federal permitting process. On June 22, 2017, U.S. Secretary of the Interior Ryan Zinke announced that the U.S. Fish and Wildlife Service (Service) will delist the Yellowstone population of the grizzly bear (Ursus arctos horribilis). According to the Service, the Greater Yellowstone Ecosystem Distinct Population Segment (Yellowstone DPS) of the grizzly bear has recovered to the point that federal protections are no longer necessary and overall management of the species can be returned to the states and tribes. 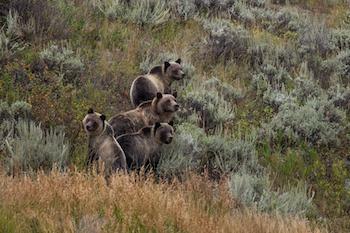 The Yellowstone DPS consists of grizzlies in portions of northwestern Wyoming, southwestern Montana and eastern Idaho. The Service estimates that the population has rebounded from as few as 136 bears in 1975 to approximately 700 today. The Yellowstone DPS now occupies more than 22,500 square miles, more than double its range from the mid-1970s. WASHINGTON, June 13, 2017 – U.S. Secretary of the Interior Ryan Zinke today announced $1.1 billion in annual funding for state wildlife agencies from revenues generated by the Pittman-Robertson Wildlife Restoration and Dingell-Johnson Sport Fish Restoration acts. State-by-state listings of the final Fiscal year 2017 apportionments of Wildlife Restoration Program fund can be found here and the Sport Fish Restoration Program fund here. The announcement was made during day one of a four-day trip across the Northeast where Secretary Zinke met with New Hampshire Fish and Game Executive Director Glenn Normandeau, whose state will receive $8,146,960 through the acts. The meeting was part of a Pittman-Robertson Dingell-Johnson Grants Roundtable that focused on recreation and partnerships between New Hampshire and the Department.